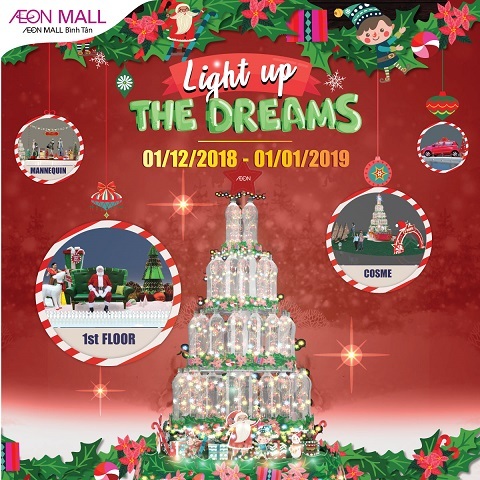 With the aim to protect the environment, AEON MALL BINH TAN is decorated beautifully this Christmas with the “Light up the Dreams” event which will bring new life to the plastic bottles. 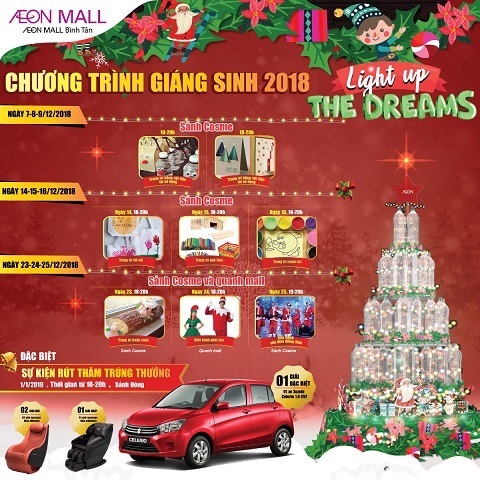 From 01st December 2018 to 01st January 2019, AEON MALL Binh Tan is pleased to welcome you and your family to come and enjoy the wonderful Christmas decoration. 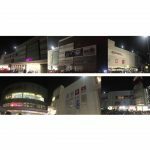 The Lighting event with the plastic bottles will be held on 01st December 2018 from 9:00 to 21:00. 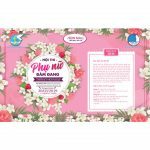 07th Dec – 09th Dec: Recycle the plastic bottles by making them become many useful stuffs. 14th Dec – 16th Dec: Don’t miss the chance to join to decorate the canvas and ice-cream sticks; and make sand arts with your beloved ones. 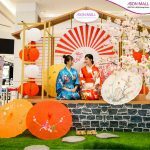 23rd Dec – 25th Dec: Decorating roll-cakes workshop, cosplay parade activities are waiting for you to join. 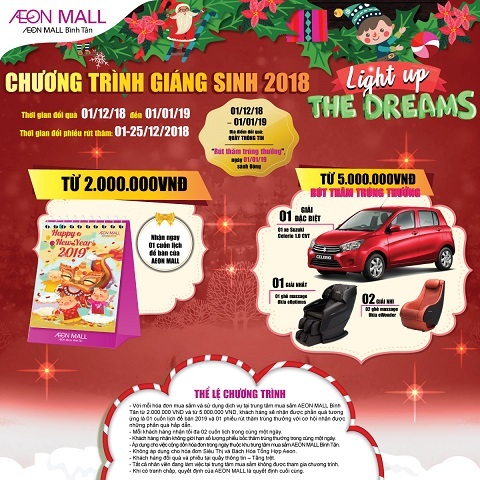 From 01st December to 25th December, with each shopping bill which is worth from VND 2,000,000 at AEON MALL Binh Tan shopping mall, you will receive a lovely desk calendar for 2019. 01 special prize: 01 Celerio Suzuki car. 01 1st prize: 01 OKIA eOptimus electric massage chair. 02 2nd prizes: each prize 01 OKIA eWonder electric massage chair. The lucky draw will be held on 01st January 2019 at East Court on Ground Floor with many impressive performances for you to enjoy. 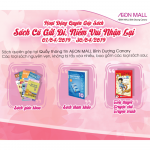 And there are also a lot of amazing things are waiting for you at AEON MALL Binh Tan. 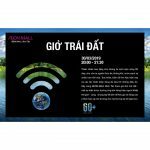 Find out more Christmas promotions here: http://aeonmall-binhtan.com.vn/news/shops.